My wife was selected to attend a conference in Las Vegas this week and so on Thursday, while Jon and Ben were presenting at the Symposium on Small Towns in Morris, MN, I was getting on a plane to join her in Sin City. I'm not a big gambler (although I enjoy the occasional bet on my Twins or a roll of the dice) and, being from a small town in the Midwest, I also find Vegas a little brash for my sensibilities - for example, my waitress at dinner tonight was wearing less than my wife would wear to the beach on a hot day. Besides some sans kids time with the love of my life, what brought me back here this time was my desire to rubberneck at the devastation the housing bubble has wrought. The planning version of a bloody traffic accident. The plane ride in did not disappoint. I wanted to take some photos but was afraid the Delta flight crew may attack me for trying to sabotage the plane with my electronic device. Anyway, here are some photos from Google Earth that show what I saw. This is the stuff that was basically abandoned before it could be constructed. Of course, there are many more times this where the housing is actually built and unoccupied and/or financially underwater. 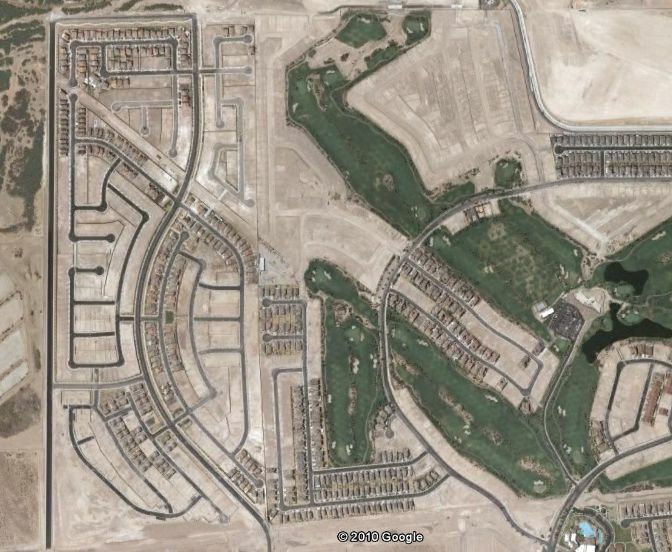 Google Earth Image, The roads in this subdivision were graded by not surfaced in this photo. 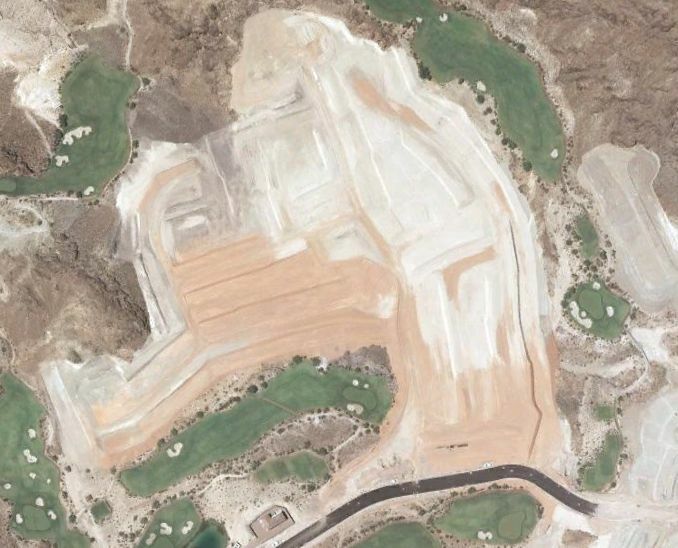 Google earth Image, This one shows a development half-built. You can envision where the houses would go if development had been able to proceed. 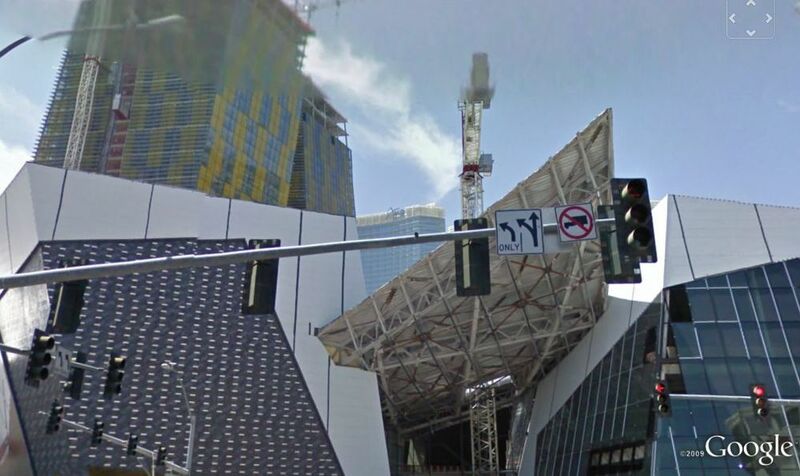 Google Earth Image, This shows a much larger development. 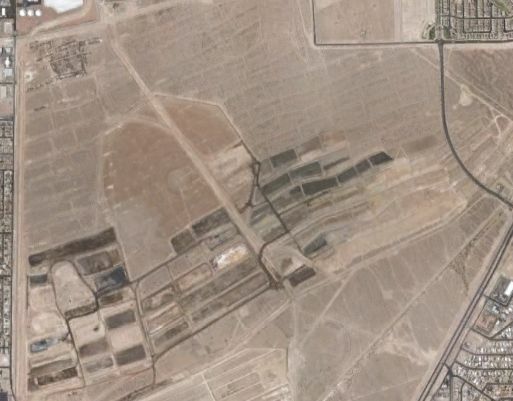 You can see how the lot sizes were planned to be bigger here, perhaps an industrial park or some "luxury" housing. The last time I was here was during the American Planning Association conference in 2008, just when the housing bubble was starting to reveal itself for the Ponzi scheme it was. There was a lot of delusion here then, and likely still is. I'll know more after poking around a little bit today. My apologies to those that logged in to get the usual news digest. We'll be back in the groove with news next week, and if I can do some bonus posting from here in Vegas, I will. I hope that everyone has a great weekend.